Those Germans sure do have a unique talent for mixing sun tans with steins of cold beer to create a state of blissful Gemütlichkeit (we’re pretty sure, the term ‘placemaking’ somehow originated from this German expression). 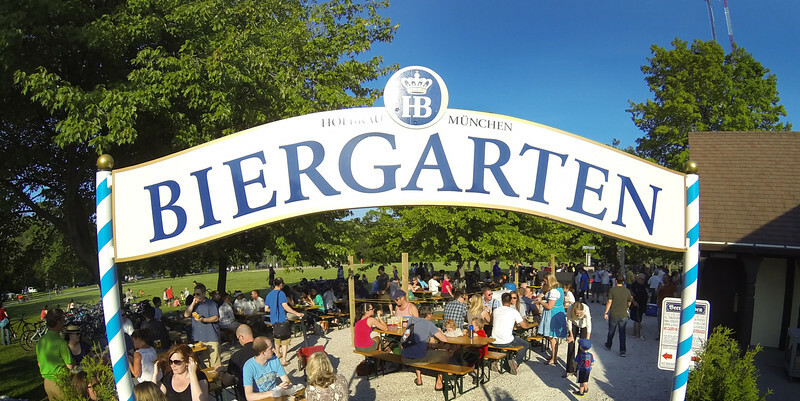 When Germans immigrated to Milwaukee in droves during the 1800’s, they quickly established Sunday beer gardens to keep the Old World parties alive while living Stateside. This pop up pastime is still alive and well today in Brew City. Beer gardens originally appeared in Germany as a response to a Bavarian ban on brewing during the summer months beginning in 1553. To have a sufficient supply of beer to consume during the summer, brewers would build underground cellars near riverbanks and under the canopy of groves of shade trees in order to store the cold-fermented, malted-barley-based lager beers that Germany is known for today. Naturally, these environments were conducive to outdoor revelry as thirsty laborers unwound from the stresses of the workweek, imbibing on cold beer while discussing the pressing issues of the day among legions of friends and families on warm summer months. Through a program administered by Milwaukee County Parks, the tradition of summer beer gardens lives on throughout Milwaukee. Here’s a look at 4 static beer gardens along with a traveling tour that rotates between nearly a dozen parks. 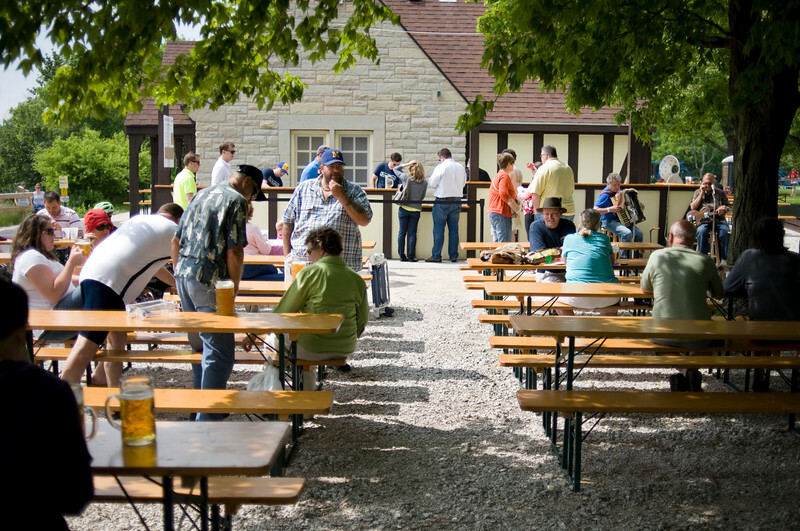 The first public beer garden in America since the end of Prohibition, Estabrook Park lies on the banks of the Milwaukee River on a scenic bluff overlooking a waterfall. Sounds majestic, doesn’t it? Visitors can arrive by foot, bicycle, automobile, kayak and canoe to enjoy beers imported from the Munich Hofbräuhaus. While brats and pretzels are available for sale on site, visitors are welcome to bring picnic baskets with their favorite fare and soft drinks.